This is actually a dish I was hoping to make the day before Thanksgiving, for all of us to munch on while we were cooking Thanksgiving dinner. Those plans fell through, so instead I baked this polenta pound cake as a treat during Justin's birthday week. Understandably the birthday boy was a little suspect of a dessert made from polenta, but I told him to have a little faith! This cake falls firmly in the category of my favorite style of baking: sweet-savory. I was taken aback by the number of eggs required for this small cake, fearing that I'd be forced to eat a pound cake with a scrambled egg consistency. When you're adding the eggs individually, remember this: it may seem like the recipe calls for too many eggs, but the number is necessary to balance out the dry polenta. You won't have to eat scrambled egg cake! Thanks to the cake's density, it is hearty enough for an afternoon snack, breakfast, or for dessert (just make it a small slice!). The rosemary and honey evoke winter and comfort. A thick slice of this cake, topped with a dollop of mascarpone, and paired with a cup of tea….that's the stuff relaxing afternoons are made of. We kept our pound cake on the counter top under a layer of foil for three days and I didn't notice a decline in either the moistness or the flavor, even on the last day. 1. 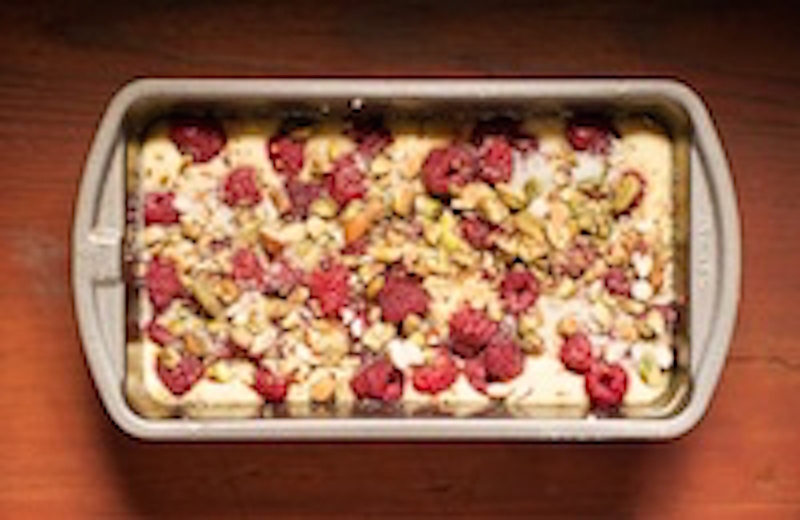 Make the Cake: Preheat the oven to 325°. Butter and flour a 9-by-5-inch metal loaf pan. 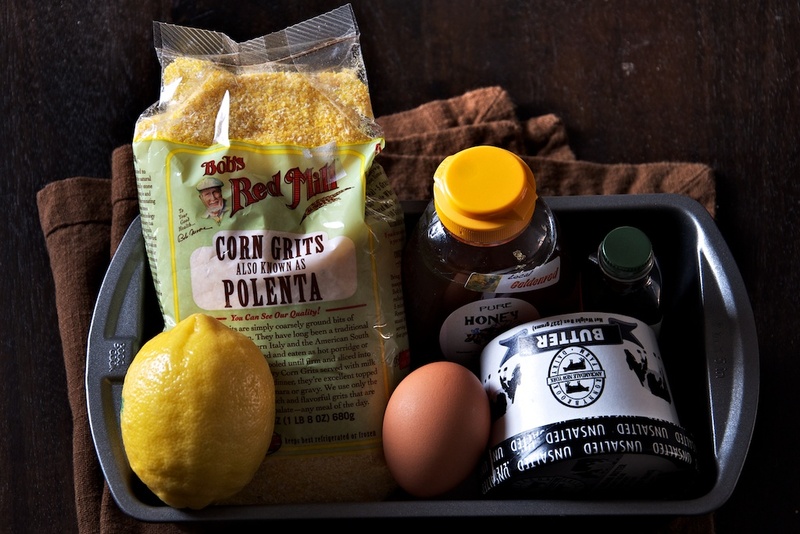 In a medium bowl, whisk the 1 3/4 cups of cake flour with the polenta and salt. 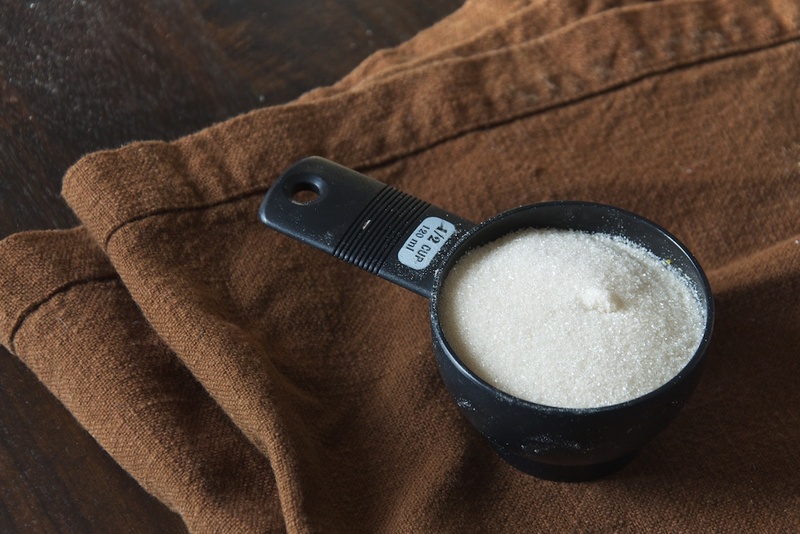 In a large bowl, using an electric mixer, beat the softened butter with the sugar at medium-high speed until pale and fluffy, about 2 minutes. Add the eggs one at a time, beating well between additions. Beat in the vanilla extract and lemon juice. 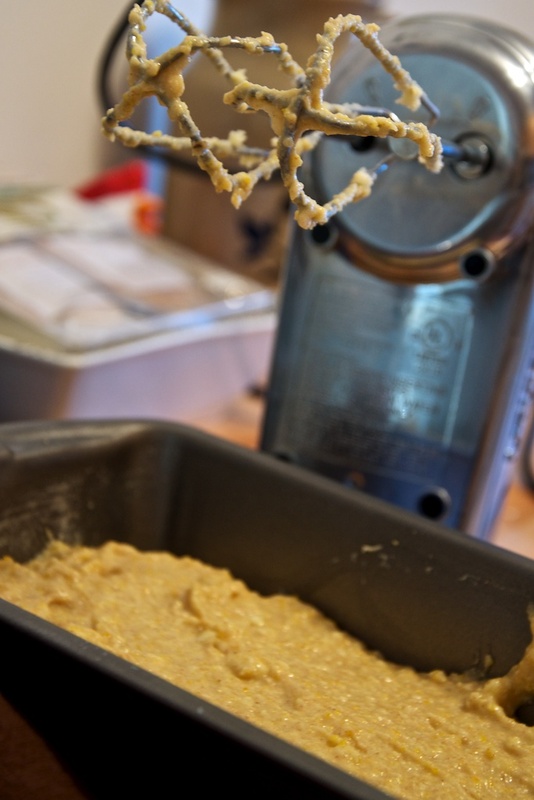 Gradually add the flour mixture to the egg mixture, beating the batter at low speed until just incorporated. 2. 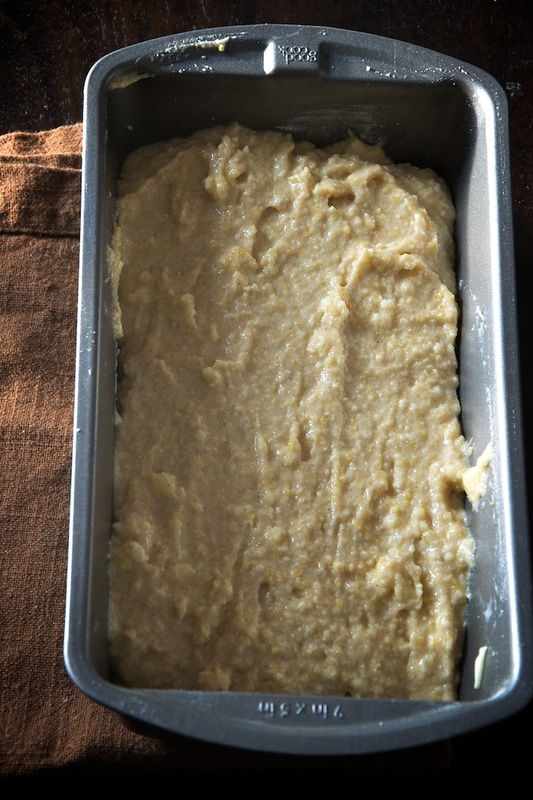 Scrape the batter into the prepared loaf pan and bake for about 1 hour, until a cake tester inserted in the center of the cake comes out with a few moist crumbs attached. 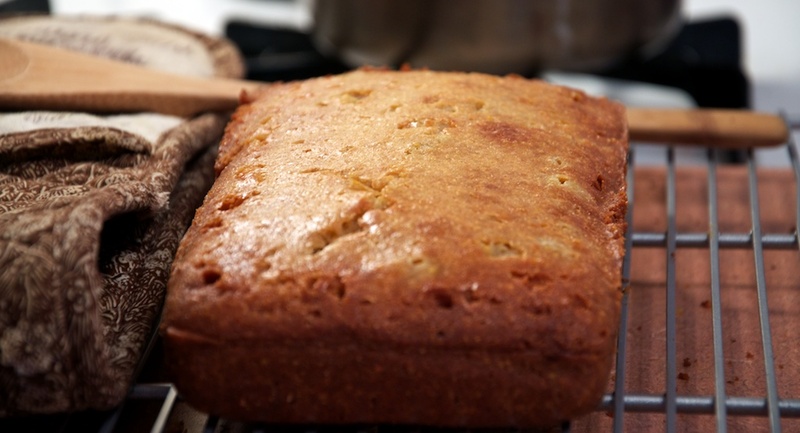 Turn the pound cake out onto a rack and let it cool until warm. 3. Meanwhile, Make the Rosemary Syrup: In a small saucepan, combine the honey with the water and rosemary sprigs and simmer over moderate heat for 2 minutes. Let the syrup cool to room temperature, about 15 minutes. Discard the rosemary sprigs. While the cake is still warm, lightly brush the top of the cake with the rosemary syrup. 4. Make the Mascarpone: In a medium bowl, whisk the mascarpone with the cream, sugar and vanilla-bean seeds. 5. 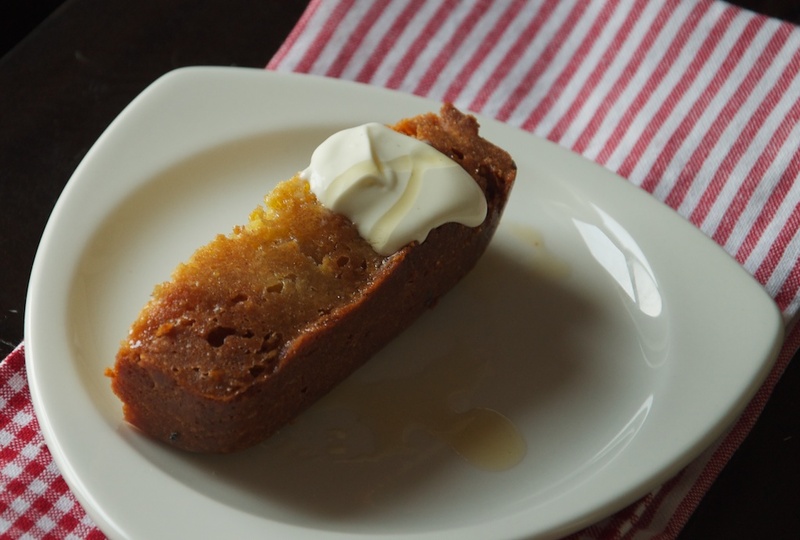 Using a serrated knife, cut the pound cake into thick slices and transfer to plates. Top each slice with a large dollop of mascarpone before drizzling the rosemary syrup.